You do not have to present a photo ID to vote in a state election. 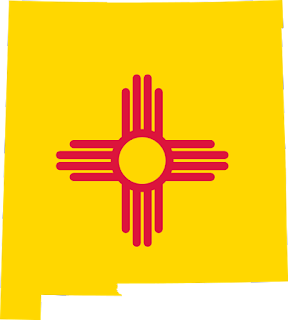 Only if you are registering for the first time in New Mexico, and you submit the registration form by mail, then you must submit the form with: A copy of a current and valid photo identification. Other government document, including identification issued by an Indian nation, tribe or pueblo that shows your name and current address. If you do not submit one of these forms of identification with your mailed-in, first time registration, then you would be required to present one of the forms of identification when voting in person or absentee. Voter registration deadline for primary election.